Always wanted the warmth of small-town life, but with the amenities of the big city? Rocking Horse Farm is for you. 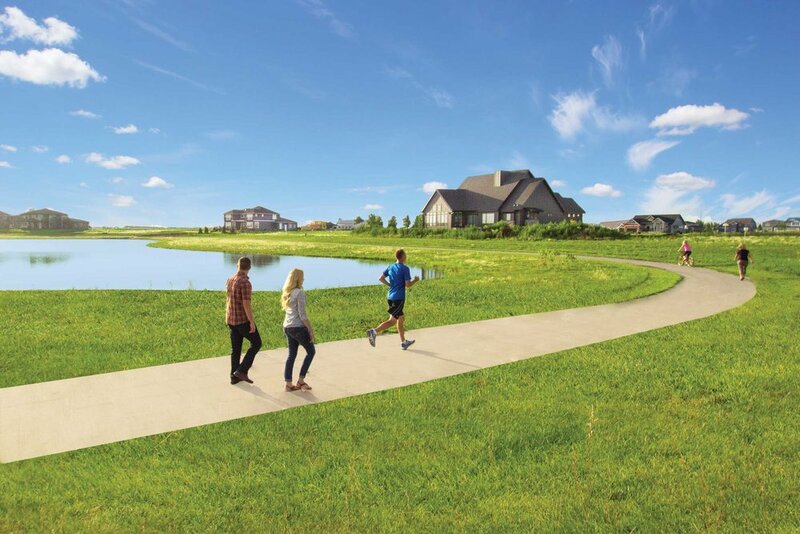 It’s planned to preserve the feel of wide-open spaces, offering distinct neighborhoods and clear views to Osgood golf course and many other areas of planned nature. All this, in a location close to parks, medical services, shopping centers and more. Located in the southwest corner of Rocking Horse Farm, Bright Futures Early Learning Center is more than just a daycare...it is a childcare center that strives to provide a clean, safe and educational environment for young children and their families. Four landscaped pocket parks are designed to offer both beauty and educational value. They have been planted with a variety of field crops, berries and apple trees. 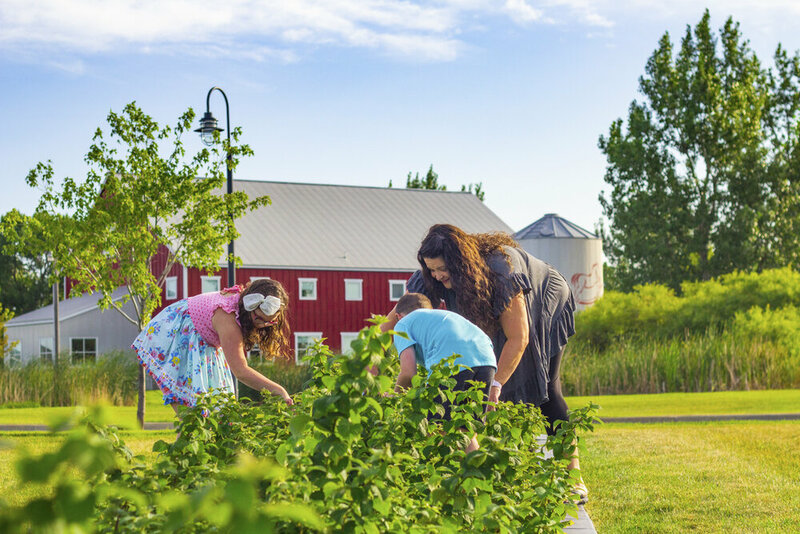 Plaques identify information about each species, and Rocking Horse Farm residents are encouraged to harvest for their own use. Rocking Horse Park is a 5.62 acre City Park, complete with playground equipment sets for ages 2-5 as well as 5-12. The park includes a large manicured turf area, measured exercise trail and wildlife pond. These trails wrap around a beautiful wildlife pond that opens up into Osgood Golf Course. There are two trail access pocket parks, as well, which are managed by the Homeowners Association (HOA). This 9 hole, par 33 golf course offers golfers rolling hills, native grasses and rough-faced bunkers that are offset by wide fairways and accessible greens. Osgood boasts a large driving range, practice putting green and chipping, pitching and sand practice area. Don’t have time for 9 holes? Walk the 3-hole loop for just $6. It has been said that the difference between something good and something great is attention to detail. At Rocking Horse Farm, we don't just subscribe to this principle...we live it. Most developments have electric power control buildings that look like...well, power control buildings. 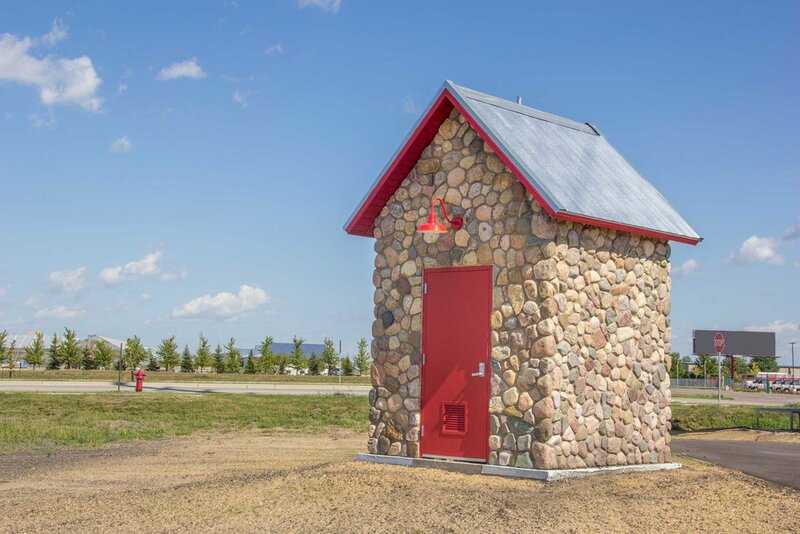 We designed a "well house" themed building for Minnkota Power and paid for the fieldstone exterior to turn an eyesore into something attractive that fits the development. To reduce yard clutter, we worked with cable providers Midco, Cable One and Century Link to utilize an identical communications pedestal matching the dark green electric transformers. The pedestals are also shared amongst providers to minimize the amount of boxes. Our entrance signage sets the stage for this rural-themed master planned community. The fieldstone signage wall has the red rocking horse located on top, which will be lit at night. The signage will be displayed at the two main development entrances.